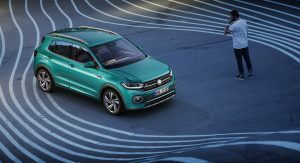 The teaser campaign for the all-new T-Cross is finally over as VW has officially lifted the veils of its smallest SUV to date. 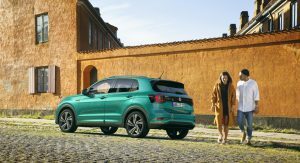 Revealed in Amsterdam, Shanghai, and São Paulo the T-Cross is a global SUV that uses the same platform as the Polo and therefore doesn’t offer all-wheel drive — not even as an option. 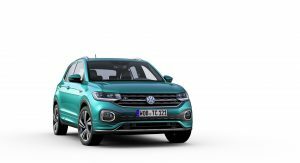 Design-wise, it’s a combination between VW’s other SUVs. From the front, it looks like a smaller Touareg thanks to the similar grille that blends with the headlights. The side reminds a lot of the Tiguan thanks to the strong character line, while the rear end is probably the most original part of the car. 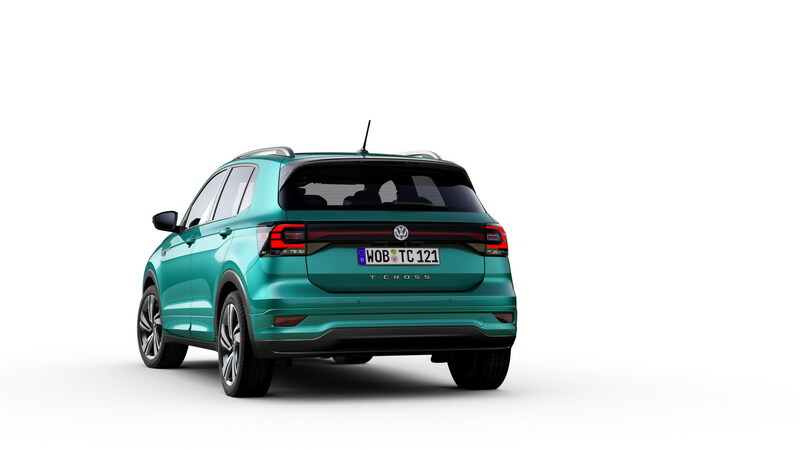 The taillights look like nothing else in VW’s current lineup, and they are connected by a light strip that makes the T-Cross look wider than it really is. Speaking of dimensions, the MQB platform has allowed VW to locate the driven front axle well forward. 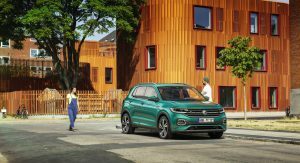 As a result, the T-Cross has a relatively generous wheelbase compared to the overall vehicle length. 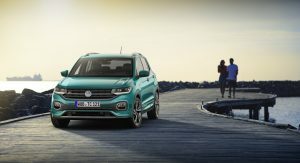 The small SUV is 4.11 meters (161.8 in) long with a 2.56-meter (100.8-in) wheelbase. 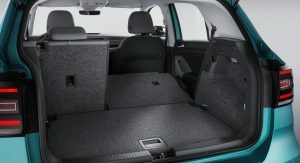 As a result, VW says the interior is spacious and offers enough room for five people. 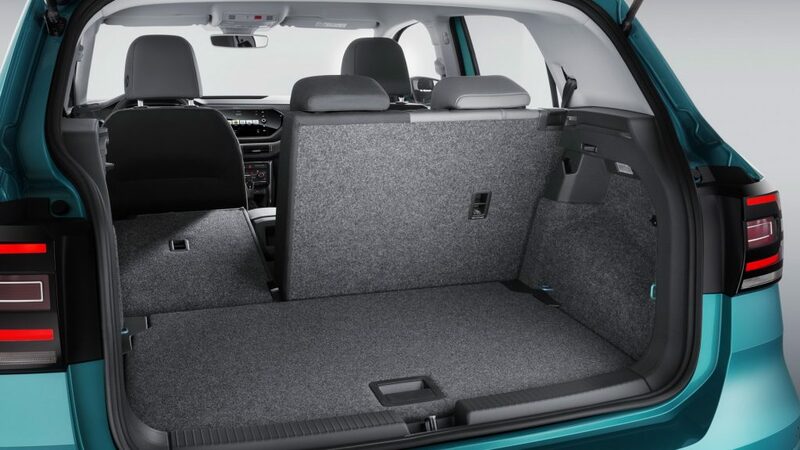 Furthermore, it benefits from a sliding rear seat that has 140 mm (5.5 in) of travel, maximizing either legroom or boot volume, depending on the need. 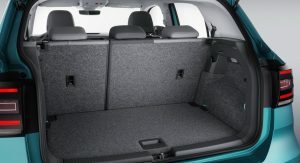 The luggage compartment has a capacity that varies between 385 and 455 liters (13.6-16 cu ft) with all seats in place. 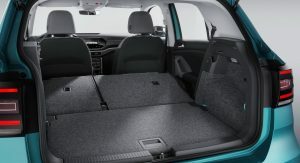 If that’s not enough, the rear seatback folds down fully or partially to expand cargo volume to an impressive 1,281 liters (45.2 cu ft). 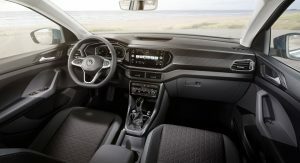 There are no surprises as far as the interior design goes, as the dashboard betrays its VW Polo origins. 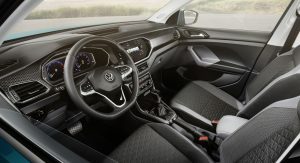 The steering wheel is completely new, though, and there are some color and trim differences to the supermini as well. 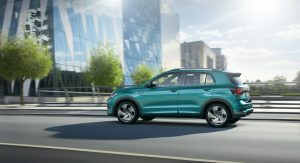 Connectivity-wise, the T-Cross offers the latest infotainment systems from VW, inductive smartphone charging, and up to four USB ports. The engine lineup wasn’t exactly a secret from the previous teasers. 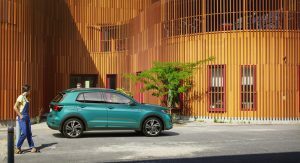 The T-Cross debuts with four turbocharged power plants: three gasoline and one diesel. 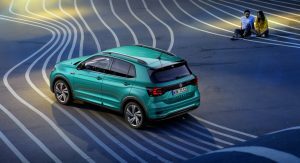 There are two 1.0-liter TSI three-cylinder units rated at 95 PS (94 hp) and 115 PS (113 hp), respectively. 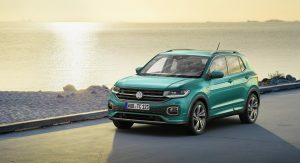 The range-topping 1.5-liter TSI four-cylinder unit makes 150 PS (148 hp), while the 1.6-liter TDI diesel produces 95 PS (94 hp). All engines comply with the latest Euro 6d-TEMP emission standard. 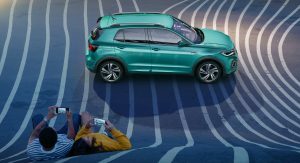 Surprisingly for a small vehicle, the T-Cross offers many driver assistance systems as standard. 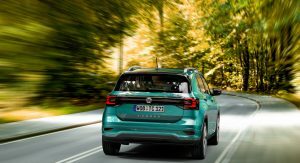 Those include Front Assist with Pedestrian Monitoring and City Emergency Braking System, Lane Assist, Hill Start Assist, the proactive occupant protection system, and Blind Spot Detection with integrated Rear Traffic Alert. Optional safety features such as the Driver Alert System, automatic adaptive cruise control and Park Assist help further enhance safety. 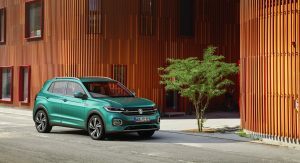 Production of the all-new VW T-Cross will begin in Spain, South America, and China later this year, with sales following in 2019. 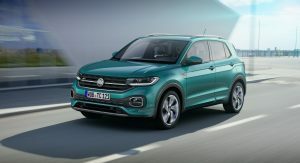 Looks very good, finally VW! And the color is nice too. I agree on both counts. 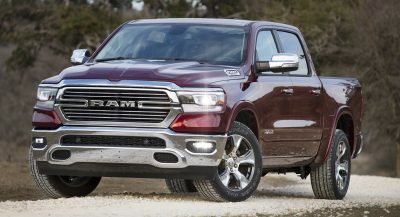 However, I could do without the fake grille made of black plastic which connects the fog lights (which will look even worse when it dries out in the sun), and the upper main grille is kind of dumpy looking. 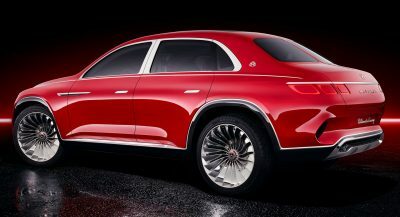 The side and rear look more upscale for this class though, and the interior looks similarly smart. I like that new steering wheel too. Turned out great. 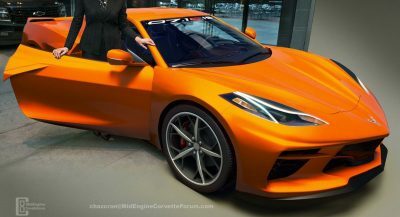 Definitely one of the more attractive, if not the best looking small crossovers I’ve seen this year. Actually it does look good. I actually agree with you… overall shape and proportions are good, but the the 3d ‘character’ surfacing its too much. It’s like the designers can’t stop themselves on a clay model. SO cute, I love it. This will have a huge success! As if nobody has heard of Dieselgate! Give it a rest or just ignore VW articles. Thank you! This will haunt VW forever now like Fix It Again Tony….Sheesh people give it a rest and stop looking at the articles. I’m not sure how much that costs, but if it would cost them more than $1 over the antenna, they wouldn’t do it. 15 million cars sold without a fin = $15 million saved. (they could either be being; real smart with their money,. ‘or’ real cheap with this car,… but that I guess is up for all of us to debate, and/or, decide). I will never understand VW’s U.S. strategy. Porsche and above need to spin off and quick. 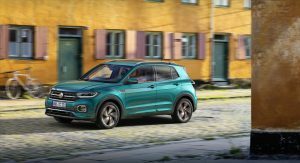 This vehicle is about the size of the Hyundai Kona, which is selling really well. 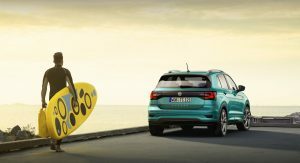 VW saying that this car is too small is a total cop out. I feel they can’t build it at a price that can compete with the other companies that sell these size cars in the US. Which is a shame cause this little VW looks fantastic and would probably sell well. bingo! we have a winner ! Was about to post a similar image of an Ibiza with a matching turquise paint colour. 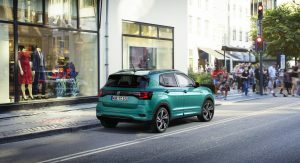 Price in Norway are said to be around 30000 euro for a mid spec 115 hp t-cross , a price that i think i way to high. So what’s the price, $40K? Wow. An SUV for millennials. Although it won’t be sold in Canada nor USA, it is unknown if it will be sold in Mexico. That green is pure 1992. That’s really all that I like. if it’s not 4wd then it’s pointless. The Renegade looks awful, and is a FCA product. The 500x is a Fiat, and is a FCA product. I appreciate your time to give me alternatives, but FCA products quality is way below my threshold. opel mokka, nissan qashqai, ssangyong tivoli, toyota c-hr, vw c-troc, subaru xv, volvo xc40, mitsubishi asx/ eclipce cross, skoda karoq, bmw x1/x2, dacia duster, mazda cx-3 all compact and with 4wd . what’s everyone being so excited about, here? I don’t get it. This is so bland. VW design repeating itself over and over again. 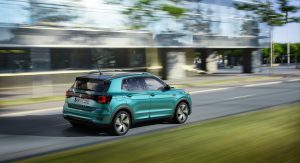 A Polo on steroids with flashy colours to appeal the “young buyers”. it actually reminds me of a Dacia Sandero. Really don’t like VW’s styling at the minute. 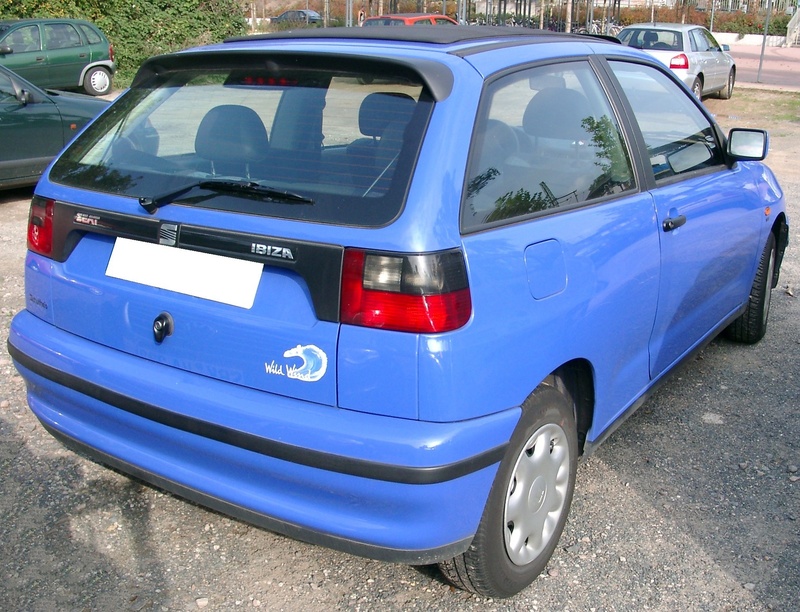 This is so fussy looking, and dated (90’s SEAT Ibiza). It will sell well though, to people that don’t know anything about cars. 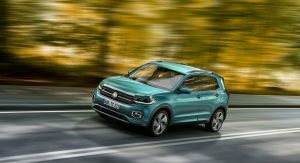 Are VW becoming the new Toyota? I like this one – not vulgar at all. A good alternative to Polo and probably Golf. 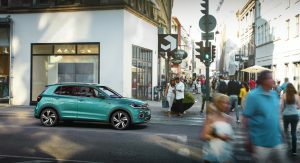 Not sure how it will affect the T-ROC sales … but I’m not a marketing expert and do not have the info VW has, so I guess they know what they are doing. I think that an EV version with the drive train (or slightly more powerful) of e-UP and twice the range will be a very good city car. Not bad. 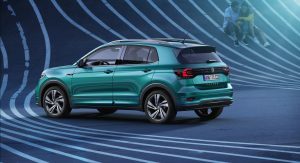 Finally some competition for Dacia Sandero Stepway. (Just kidding…Renault Captur is probably the real competitor). 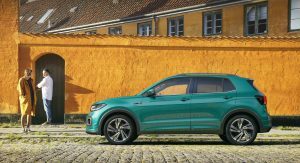 This is the FIAT Tipo SUV.